From 1969 to 2007, the Boeing 747 was the queen of the skies and the largest passenger jet of all time. The American manufacturer kept on introducing new version and sold them quite well. In 2005, the big success ended. The version 747-8i was hardly sold at all, because most large airlines chose the new queen of the skies, the Airbus A380, instead. As it turns out now, the production of this plane, which took billions to develop, will end. There will not be any deliveries of the A380 after 2021, Airbus announced this morning. Until then, 14 more A380s will be delivered to Emirates. There was “no noteworthy order backlog, and therefore no basis for a continuation of the production”, Airbus’ CEO Tom Enders said on Thursday. He stressed the company had tried hard to acquire new A380 customers. The decision to discontinue the A380 was “painful”, Enders conceded. But the existing A380 would be flying for many more years. He promised a continuation of spare part deliveries. The Airbus A380 is the only aircraft which can carry more than 800 passengers, depending on the configuration. 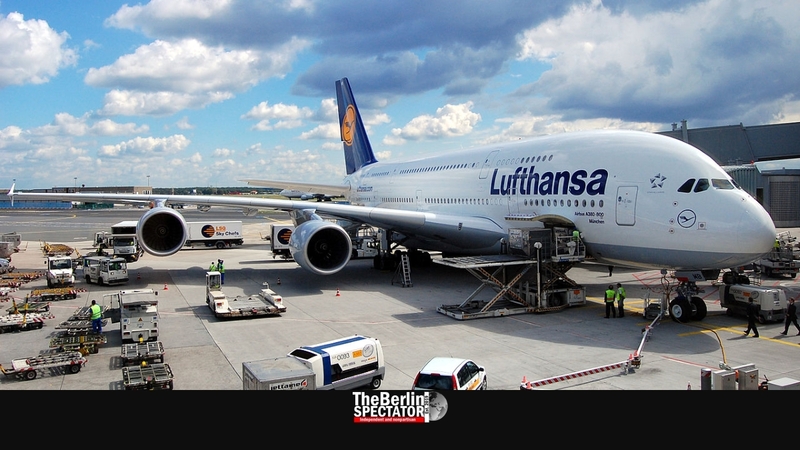 Most owners, including Lufthansa, set up their A380 for 550 passengers in three classes. Producing it was a big gamble. Airbus believed size was the future, while Boeing, the big American competitor, built on direct flights from mid-sized airports. Today, both Boeing and Airbus sell their latest generation of more economical wide-body jets. In this area, the Boeing 787 ‘Dreamliner’ is the direct competitor to the Airbus A350. Both models are successful. Initially, Airbus had wanted to build 45 A380s per year. But recently, the production dropped to eight, and then to six. Even Emirates, the biggest A380 customer, refrained from ordering more of them. The airline wanted Airbus to fit the A380 with more modern engines. This was something the manufacturer had to reject because it did not have enough orders to cover the cost. With the end of the Airbus A380, the super jumbo concept has become obsolete, just like the idea of super fast passenger aircraft. Shortly after its only crash in the year 2000, the Concorde stopped flying, also because these planes which reached twice the speed of sound were just not lucrative. Until today, a total of 313 A380s have been ordered and 232 of them are operational. Airbus invested 12 billion Euro (13.5 billion U.S. Dollars or 10.5 billion GBP) for the development of “the big one”. Passengers love its comfort, pilots the fact that it is easy to fly. Apart from an engine which blew in mid-air, there has not been any serious incident or accident involving the big Airbus. When they came up with the A380, Airbus believed they would sell a total of 1,500 of them. Now it turns out only one fifth of this amount of aircraft was actually ordered. It is a big miscalculation which cost a lot of money. At this stage it is unclear whether the end of the A380 production will lead to layoffs in Hamburg and Toulouse, or if the employees will be sent to other factories, e.g. for the A320 or the A350.